There are many excellent materials and ideas available online to help people needing to teach geology at all levels, and for those who want to learn for themselves. This page lists some of the websites that we recommend. In addition, there are opportunities to learn about Earth science and the geology of Britain through community events and adult education courses, from short talks to evening classes and extended field trips. 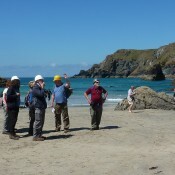 These are offered by independent tutors and organisations including adult education providers, geological societies, geoparks and county-based geoconservation groups such as the members of The Geology Trusts. Teaching and learning can be enhanced by the use of geological maps and real data, such as that listed on our Resources > Data Links page. The British Geological Survey website includes a section entitled Discovering Geology. This contains lots of information and a variety of resources for schools and colleges, lifelong learners or anyone with an interest in geology for education or leisure. There are sections on Climate Change, Geological Hazards, Geological Time, and the Geology of Britain. The latter includes information about specific sites, including a number of holiday locations. The teaching resources for each section can be accessed directly here. Membership of Rockwatch, the nationwide club for young geologists, is a great way for children to learn about all things geological – rocks, fossils, minerals and landscape. Members receive a geological exploration kit, a thrice-yearly magazine, a news-filled fun website, and invitations to participate in events, field trips and competitions. The Earth Science Teachers’ Association has a long history of providing educational resources from Primary to Advanced level, tailored to the requirements of the National Curriculum. The website contains plenty of free, downloadable information and links to other organisations, but the extensive library of lesson plans is only accessible by members (£32 p.a.). Earth 4567 is a library of talks on earth sciences and evolutionary topics that can be used as a basis for engagement and outreach in schools and beyond. The talks are supported by PowerPoint presentations, extensive teacher’s notes, and student exercises including quizzes and practical hands-on activities. 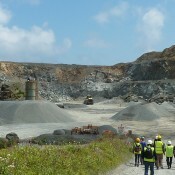 Developed by the University of Bristol with support from the Geologists’ Association, UNESCO and Shell. The Earth Science Education Unit, based at Keele University, provides free in-service training for teachers across England, Scotland and Wales, through workshops for schools, teacher meetings and teacher education institutions. The website lists the workshops, but also has ‘tasters’ and videos of student learning activities, and a resources page, which includes an example of how to use a local Site of Special Scientific Interest in teaching. The Earth Learning Idea website provides an extensive collection of Earth-related practical teaching ideas, designed to be resources for teachers and provide fun experiences for students. Each activity is designed to create pupil participation for maximum learning. Most activities require minimal cost and equipment. Developed by a small team of experienced teaching professionals based at the Earth Science Education Unit at Keel e University. This website contains excellent illustrated information on the main aspects of geological structure. It is a web-based tutorial provided by the School of Earth Sciences at the University of Leeds, aimed at their first year undergraduates. Earth Science On-Site provides all that a teacher could need in leading on-site learning exercises at any of fourteen sites around the country. Access, safety and travel details; teaching notes; pupil worksheets; maps and additional information are all provided to facilitate learning from Key Stages 2 to 4. Soil-net is a wonderful, lively website providing activity ideas and curriculum based information about soils for teachers, parents and students of Primary and Secondary school age. Developed by Cranfield University and supported by the British Society of Soil Science. Since 2008, the Society has been hosting a series of public lectures on a range of geological subjects of current interest or concern. Details of this year’s Shell London Lecture Series are on the Geological Society’s website, and past lectures can be viewed online (go to the past events page for lectures before the current year). The Earth Science Literacy document can be downloaded as a PDF file and the essential set of ideas as a Word document. It makes an excellent teaching or learning checklist. A similar document promoting public understanding of the Oceans (OceanLiteracyPrinciples PDF) was also produced. 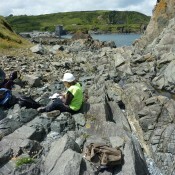 There are many opportunities to learn formally and informally about Earth science, local geology or the geology of Britain and further afield. Contact your local geoconservation group or visit their websites to find out when you can participate in a range of community education activities, including guided walks, talks, and family fun days. 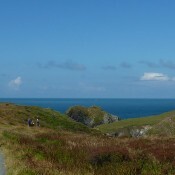 Organisations caring for or promoting landscape areas also often have guided walks or other events. 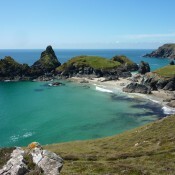 Local programmes from organisations such as National Parks or the National Trust may occasionally have geological interest. However, European geoparks and geologically orientated World Heritage Sites, such as the Jurassic Coast of Dorset and Devon, are devoted to engaging the public in geology. An independent geopark, covering the area of the Abberley and Malvern Hills in western England, holds an annual three month summer ‘GeoFest’, packed with activities for people of all ages. 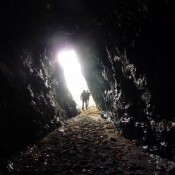 There are a number of long-established local geological and natural history societies, as well as local branches of the Geologists’ Association. These groups usually offer a series of lectures and field trips each year. If you have any difficulty finding such organisations in your area, again, the local geoconservation group (see above) can probably point you in the right direction. 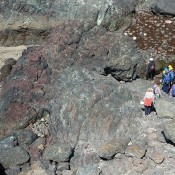 Field trips, lasting from a day to a couple of weeks are also offered by some independent tutors. Subscribe to the free Down to Earth magazine, or visit the GeoSupplies website to find out about many of them. Another popular tutor, Dr Nick Chidlaw, offers a range of field courses and field skills training throughout the year and across the country. 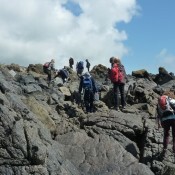 Examples include a single day looking at ‘Hot Deserts of the past’ along the Bristol Channel, a four day course examining evidence of the Variscan mountain building event on the Lizard, and a ten day field trip exploring the geology of the North West Highlands. No prior geological knowledge is assumed, and teaching starts from the basics if necessary, yet the courses can also be of interest to experienced geologists wanting to visit new sites. 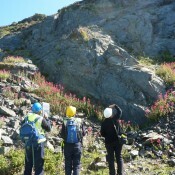 Contact Dr Chidlaw (nchidlaw@gotadsl.co.uk) directly for details of forthcoming field trips. Visit his field skills website for a description of these courses. 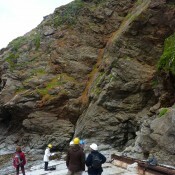 Please see pictures from Nick Chidlaw’s field trip to the Lizard, Cornwall below. 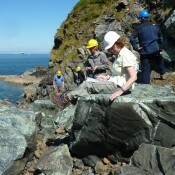 The Open University offers accredited geology courses. 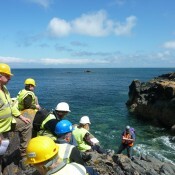 There are also a number of local courses, both accredited and non-accredited, lasting from a few days to months, advertised locally by universities, colleges, adult education centres, the WEA, and local geology groups. Again, the county geoconservation group (see above) may be able to provide information.